Special feature : Bizen Hatakeda school lives in Hatakeda adjacent to Osafune. The founder is Hatakeda Moriie. The Samemori and Mitusmori are famous swordsmith in this school. Sanemori is son of Moriie. His blade was made around Kenji(1275-1277), Kouan(1278-1287) and Shou(1288-1292). His style is Choji Midare with Kawazuko Choji. It looks like Ichimonji blade. In Ha, there are long Kinsuji. The blade is very healthy. Blade length : 63.0 cm or 24.8 inches. Sori : 1.6cm or 0.62 inches. Width at the hamachi : 2.51cm or 0.98 inches. Kasane : 1.79cm or 0.70 inches. 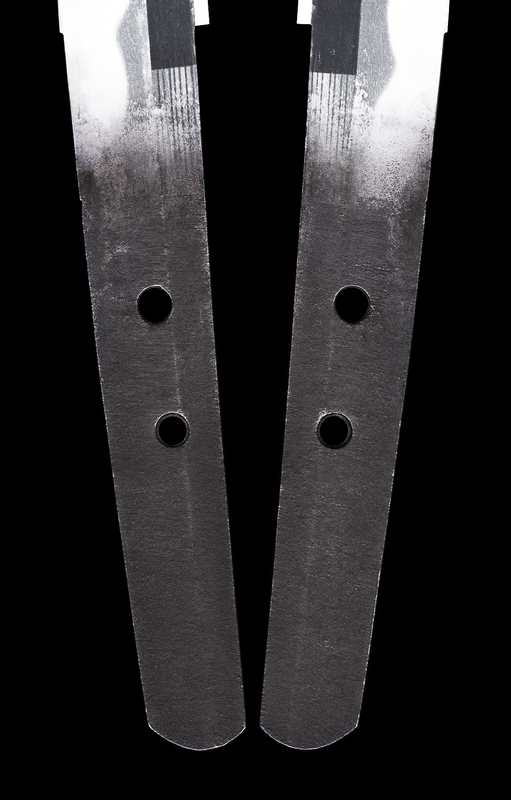 Shape: It is wide blade with deep sori. 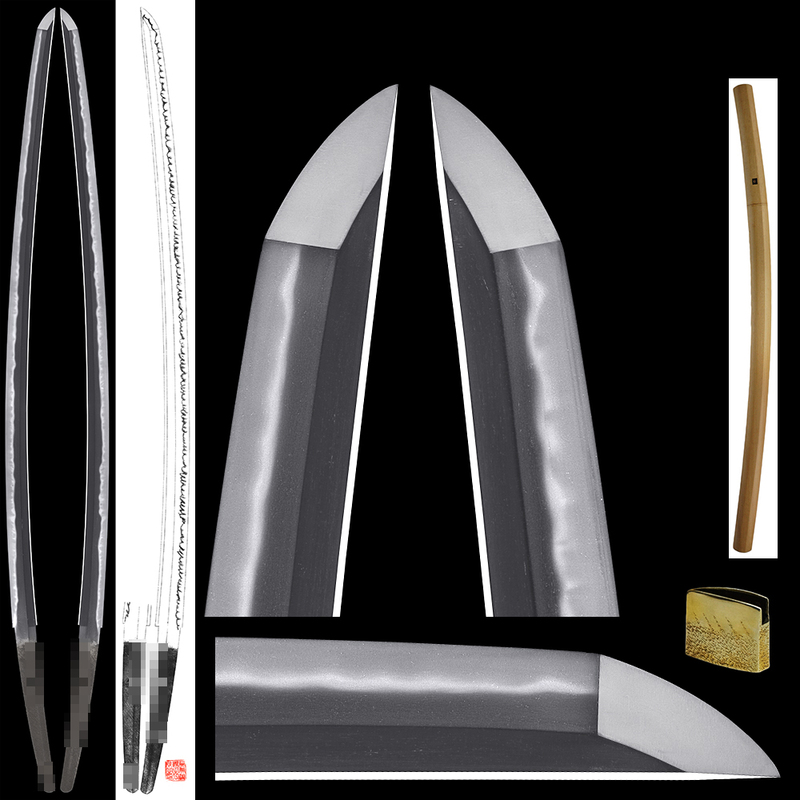 It is elegant shape wakizashi. Hamon: Konie deki gunome midare with mixture of Choji midare(wavy hamon). There is deep nioiguchi with soft Hamon edge. work is well attached. Boshi is midare komi with sharp turn back.